The holidays are right around the corner. Many of you are already crafting for Halloween, Thanksgiving and even Christmas. We have a few projects that you could ideal for the fall decorating or make incorporate into your gift giving for the holidays. 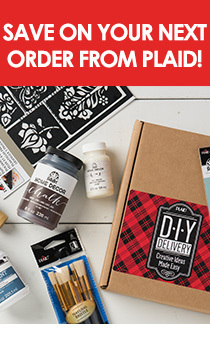 If you are an experienced with Mod Podge you will have no problem with these projects. Each projects features Mod Podge, Mod Podge Clay and/or Mod Melts. All three of these Mod Podge products can be purchased at your local Jo-Anns Fabric and Craft Store. Planning to make your own candy? The Mom’s Candy Jar is a great way to package your sweets to give to family and friends. Have a gift you want to put in an amazing box? The Smile Box is perfect for that special gift you plan on giving. Looking to showcase your creativity? Embrace your individuality with the “Be Whoo You Are” Mod Molds and Collage clay sign. We hope you have fun trying these projects for fall and the Holiday! Remember you can get the supplies for each of these projects at Jo-Anns Fabric and Craft store.